Published December 14, 2011 at 650 × 471 in What’s New? A Wonderful Holiday Jewelry Show! 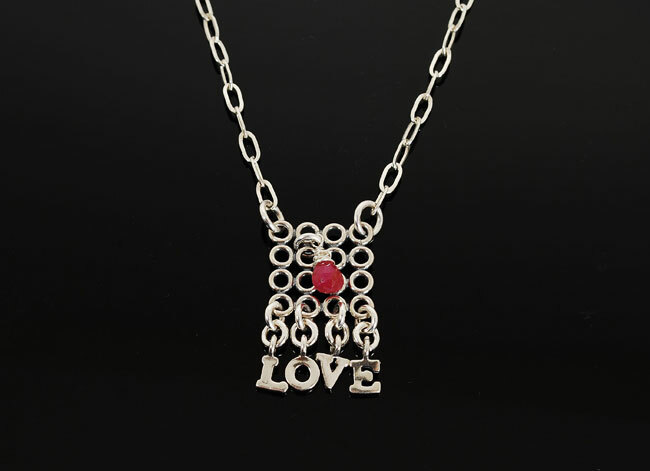 LOVE dangles oh so delicately from a grid of circles with ruby accent! 17″ long.